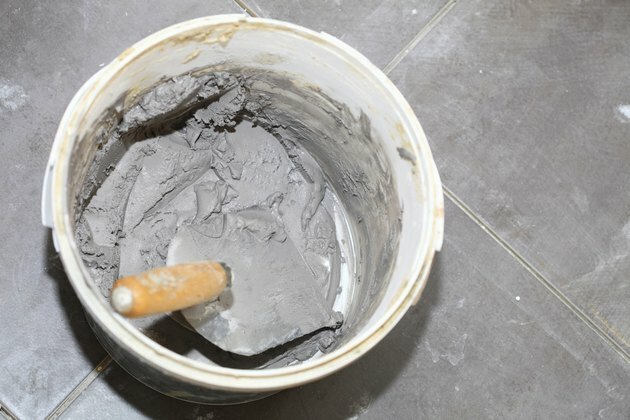 Working with mortar or concrete made with portland cement can be messy. Spatters are common. These are easy to clean when they're fresh, but if you wait until the cement has cured, the job can be difficult. This is especially true for spatters on metal, because uncured cement etches and bonds with metals such as aluminum. Preventive strategies involve masking before pouring and cleaning spatters while they're fresh. Portland cement is the adhesive that binds the sand and gravel in concrete mix together. It's composed of a number of chemicals, mostly calcium silicates, that cure by hydration -- that is, they undergo a reaction when you add water. The curing process releases heat, and the pH of the concrete mix rises as high as 12 for a short time, making the mixture highly corrosive. If you can clean concrete spatters before the curing process reaches this point, they wash right off. Afterward, the concrete usually etches and binds somewhat with the substrate, and it is much more difficult to remove. You can't easily dissolve chunks of concrete that have settled on surfaces and cured -- you must remove them by mechanical means. You can tap them with a cold chisel and hammer to remove them from concrete brick or metal, but that strategy is too drastic for removal from vinyl or glass. A better alternative is to soak the chunks with a soap solution to lubricate them, then gently work a smooth-edged flexible metal putty knife behind each one and gently pry it. Large chunks are usually easier to remove than smaller ones, which require a different strategy. Once cured, concrete and mortar discolor any porous surfaces to which they adhere. Removing the discoloration -- as well as granular debris -- is a job for chemicals. You can buy a number of concrete-cleaning solutions; some contain phosphoric acid, some an even weaker acid . Most are safe to use on most materials. Problem deposits on brick and concrete surfaces may call for muriatic acid, which is a strong acid that you must treat with respect. Wear protective clothing and eyewear, as well as a respirator, and avoid using muriatic acid on ceramic or metal surfaces; it causes a reaction that produces noxious fumes. Read the directions before using a specific concrete cleaning product. Some are neutralized by water and must be applied to a dry surface only. The cleaner usually needs 10 or 15 minutes to work after you spray or brush it on, and in most cases all you need to do is wash it off with water and it will take the dissolved concrete with it. 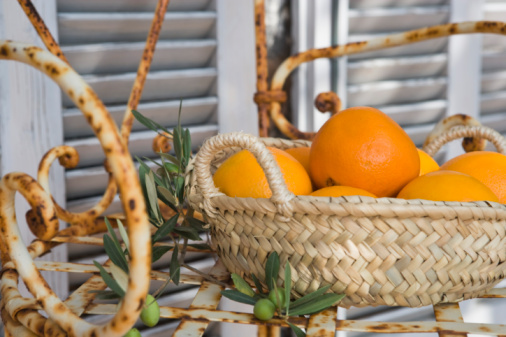 If you use muriatic acid, you need to neutralize the surface with an alkaline solution such as a cup of ammonia in a gallon of water. Before disposing of muriatic acid, neutralize it by pouring it in a bucket with a solution of baking soda or lime and water.